The rain events in January have had a significant (positive!) 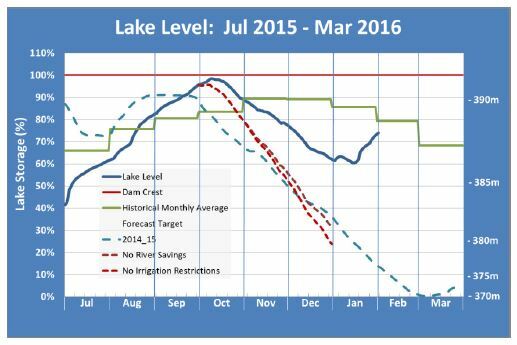 impact on the lake storage and we have now lifted all restrictions on irrigation and river flows. Although we will continue to monitor conditions closely, we are reasonably confident that we will now be able to maintain full irrigation supply and river flows for the remainder of the season. This is the first time since December 2014 that we have not been operating with some constraint on either irrigation supply or river flows – great news and a very surprising turnaround from our position at New Year. We have included some additional important information in the attached notice, including an update on the appointment of a new Chairman for the Opuha Board that was decided on Tuesday.